There are more trails at The Gorge than you will be able to ride in one visit, in fact there is well over 70km of hand built single-track that covers all grades from 2 – 5. 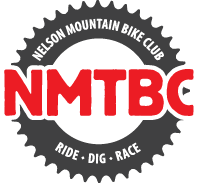 We have a wide selection of riding to suit all tastes – flowing bermy smooth trails, slow techy rock trails, root infested off-camber and relaxing waterfall lined cruisy trails. Just grab a map and ride what you want, in any order you want, at the pace that suits you. We'll meet you either half way down the hill or at the bottom ready to take you back up and do it all over again. It's a great idea to plan out one or two runs before you come - have a look at the map, watch the videos below, and work out what you want to ride and in what order. Your excitement levels will be sky high on the day and a plan to get you going will serve you well. Lots of our guests do a few half runs before lunch to get them warmed up – which is also something we recommend if you don't want to just smash out lap after lap (which you are more than welcome to do if that’s your thing). Very few of our trails are two-way (we have no climbing specific trails). All work their way down the hill and that's the way we like it. Climbing has its place in our sport – but we’ll take care of the going up bit for you during your visit, you focus on having fun going down. We will provide you with a trail map when you get here – but it’s also a good idea to download the map below to your phone so you have that with you as well. All of our trails are logged on Trailforks.com as well – it’s free to download the app and we highly recommend it.